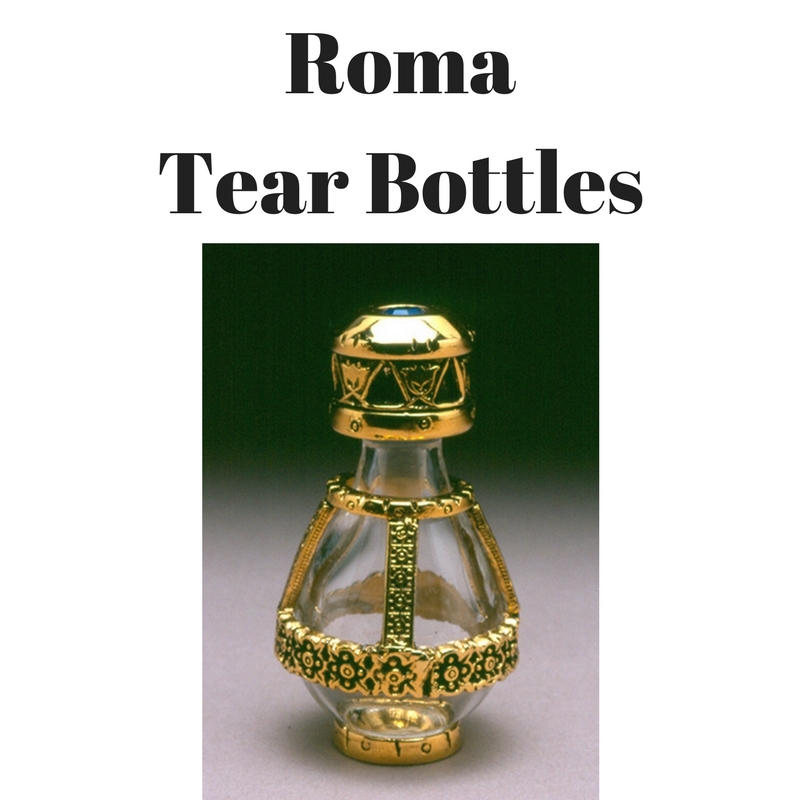 Victorian design inspired the ornate style of these unique tear bottles. Intricate antiqued metal filigree wraps around the 2" high glass bottle. The rich design is mirrored on the petite cap and includes beautiful flowers, leaves and vines. 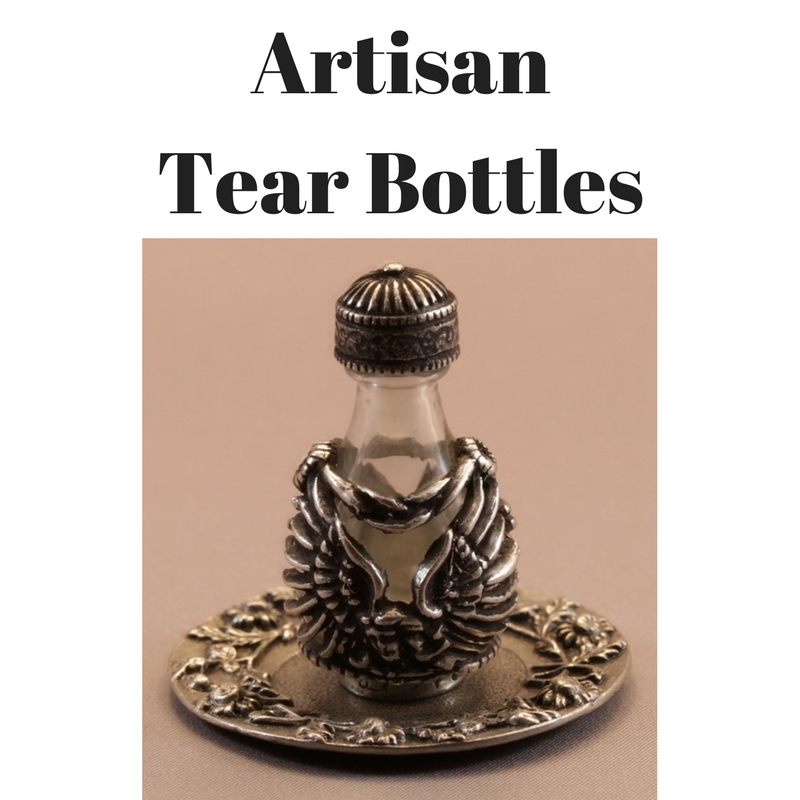 Victorian tear bottles are available in five different finishes: antiqued copper, antiqued brass, antiqued pewter, antiqued gold, and antiqued silver. 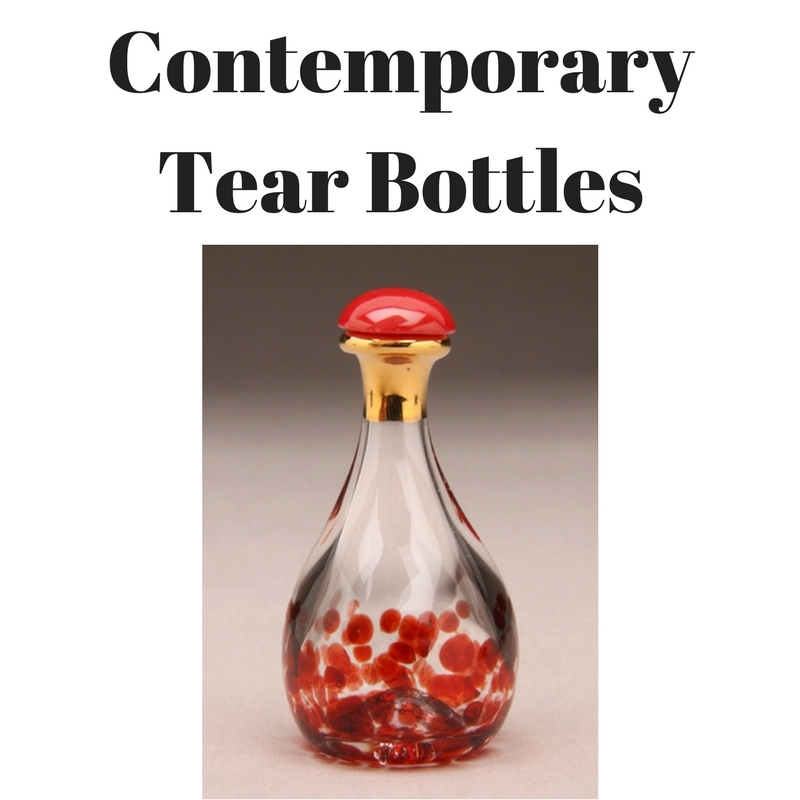 With each tear bottle you order, you will receive an elegant organza gift bag and a small story card that explains the intriguing history and meaning behind the tear bottle.